Whether you consider yourself a climate activist or not, if you enjoy living, working, and/or playing in San Luis Obispo, the SLO Climate Coalition is for you. SLO Climate Coalition members at the Ludwick Community Center on March 21, 2019. This grassroots organization is for community members, businesses, nonprofits, and government agencies who want to contribute their expertise, creativity, and passion towards creating a carbon neutral San Luis Obispo County and protecting this beautiful place for our children, grandchildren, nieces, nephews, the kids next door, and future generations. That means everyone is welcome. I wondered why somebody didn’t do something. Then I realized I am somebody. Ever since my spouse and I installed solar panels on our roof, I have been obsessed with renewable energy. Driving from our home in Cambria, I marvel at the sunny rooftops that could be generating clean, renewable, free energy. I smile as we pass rooftops with solar panels glinting in the sun. Late last year, I wondered if there was a group somewhere in San Luis Obispo County advocating for renewable energy. Then I discovered the San Luis Obispo Climate Coalition. The Coalition is a wondrous mix of people of all ages and backgrounds. I like this because I believe diversity is a strength. In nature, the healthiest ecosystems are the ones with the most biodiversity. Here in San Luis Obispo, we can use our diversity to be good stewards of our slice of the Earth. Imagine what we could accomplish if every other community decided to make the same contribution all over the world. Before I join a group, I like to learn a little bit about them. Maybe you do, too. The SLO Climate Coalition has roots in SLO Clean Energy, a group of people who came together in 2012 to advocate for Community Choice Energy, which you will read about later. 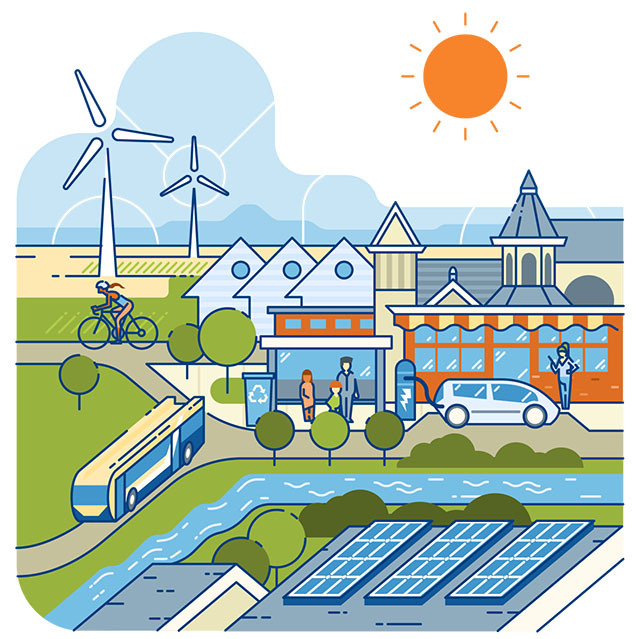 That year, the City of San Luis Obispo published its first Climate Action Plan, which included expanding local renewable energy as a major goal. After the 2016 election, the new Mayor of San Luis Obispo, Heidi Harmon, ramped up the City’s climate actions. With her support, an ad hoc-working group formed in early 2017. This group included people from SLO Clean Energy, the City, and other community members. Near the end of 2017, seven of these climate action advocates morphed into the all-volunteer SLO Climate Action Task Force. The Coalition signed an agreement with the City of San Luis Obispo. They agreed to assist the City with certain goals to support the City’s exciting goal be carbon neutral by 2035. In return, the City provides a meeting space, liaisons from the City staff, and a small budget. The Task Force operates completely independently from the City. In 2018, the SLO Climate Coalition formed around the Task Force to expand their capabilities and to reach more people in San Luis Obispo County. The Task Force provides the leadership for this growing grassroots organization. During 2018, the SLO Climate Coalition was forming and organizing itself while pursuing the “action” part of climate action. This included things like creating a mission statement, developing a charter, determining roles and responsibilities, designing a logo, setting up social media pages and posting on them, implementing a communication tool called Slack, procuring the stuff needed to host a booth at community events, recruiting new members, writing newsletters, attending public meetings, and starting to build a website. Here are a few action highlights from 2018. Below is a gross oversimplification of Community Choice Energy (CCE). I hope it will give you the gist of the idea. CCE programs enable communities to take responsibility for purchasing electricity that meets their community’s electricity demand. The electrons they buy come partly or completely from renewable energy sources and go into the electric grid. Currently, investor-owned utilities like PG&E retain responsibility for electricity transmission, distribution, maintenance, and billing, but this could change. With no shareholders to appease, CCE’s are able to offer customer rebates, to invest in energy projects, and to fund programs in their own communities. On January 1, 2020, the cities of San Luis Obispo and Morro Bay will begin reaping these benefits. In 2018, these cities opted to join Monterey Bay Community Power (MBCP), a CCE operating on the central coast. Even as I am writing this, other cities in San Luis Obispo County are considering joining MBCP. The Coalition worked alongside other CCE advocates and was instrumental in bringing Community Choice Energy to San Luis Obispo County. This was a huge accomplishment! You can learn more if you want to on the MBCP website. The FAQs page under the Resources tab is a good source of information and answers to questions you may have. Unless you are an architect or builder, you may not realize that a building’s energy use for the next 50 years or so is built-in during the design phase. This includes the structure, materials, sealing and ventilation, lighting, space heating and cooling, cooking, water heating, insulation, and plumbing. In part, building codes drive the design process. 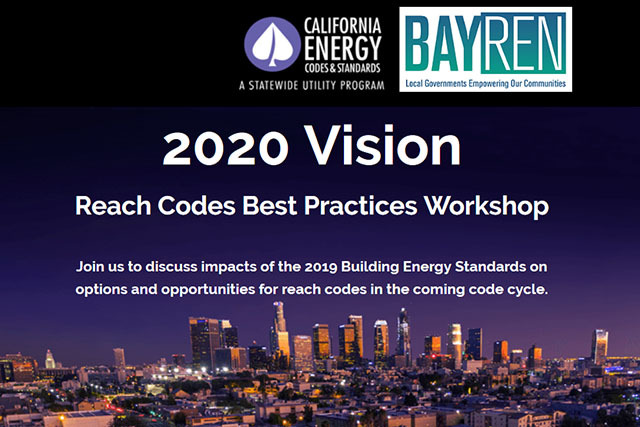 Reach codes are building codes that strive for additional energy efficiency or energy savings promoting the shift to more efficient and less carbon-intensive buildings. 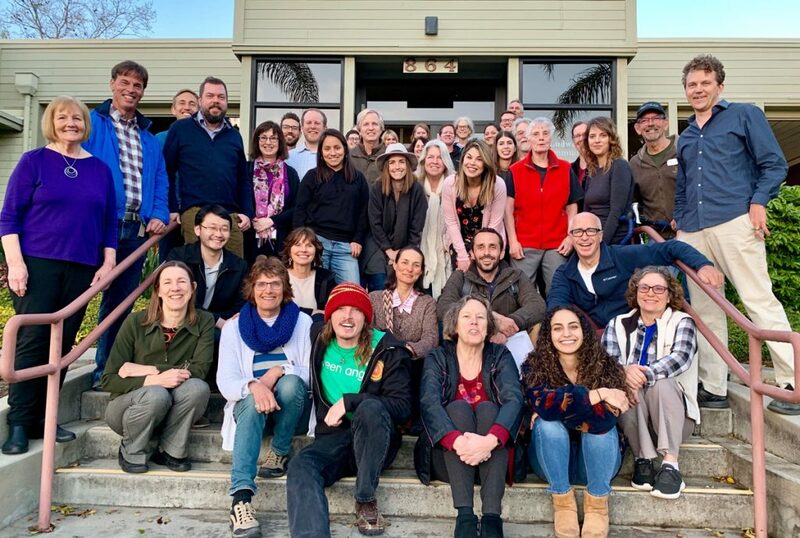 Members of the SLO Climate Coalition moved the reach code ball forward in 2018 by connecting City of San Luis Obispo staff with other groups and municipalities interested in adopting reach codes so they could share best practices, cost-effectiveness studies, and strategies for implementation. SLO Climate Coalition members attended meetings and workshops with City of San Luis Obispo staff like this one on reach codes best practices held in Oakland, CA on October 9, 2018. 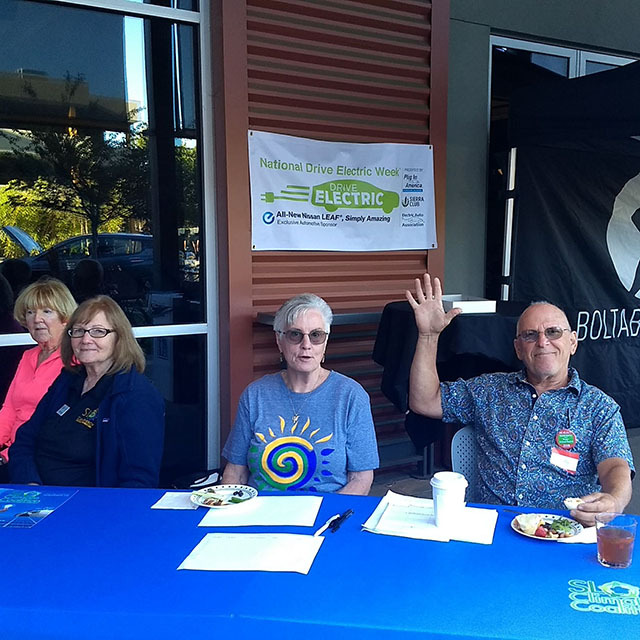 The SLO Climate Coalition initiated and led the effort to bring National Drive Electric Week to San Luis Obispo for the first time ever. 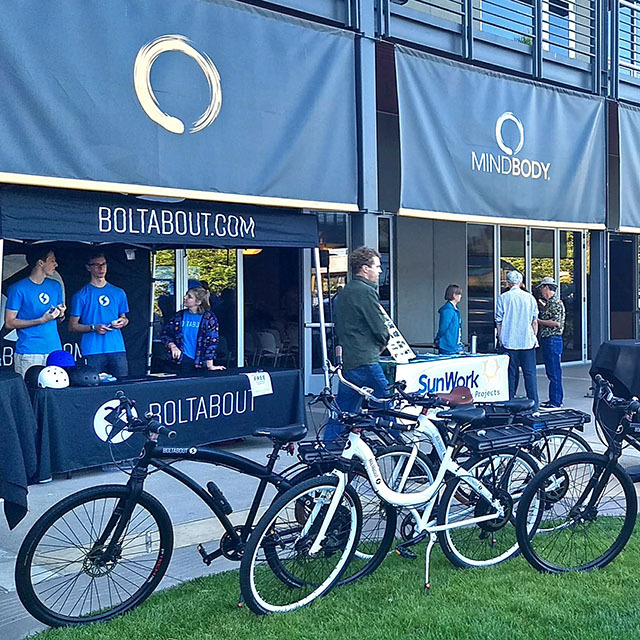 In September 2018, San Luis Obispo joined 296 cities in 3 countries and across all 50 U.S. states in a multi-day celebration to raise public awareness about electric vehicles and electric bicycles. 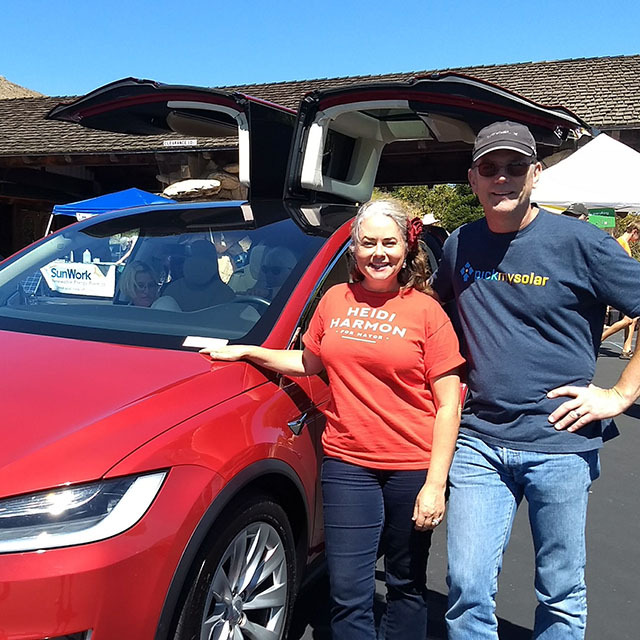 During the event in San Luis Obispo, about 200 people came by to learn about the advantages of electric cars and bikes and many of them opted to take a ride. 32 people filled out the Coalition’s survey, of which 25 said they were considering an electric car and 19 were considering an electric bike. The Coalition is already hard at work planning for National Drive Electric Week in San Luis Obispo on Saturday, September 14, 2019. Click here to register. 2019 is shaping up to be another exciting year with even more action. Please join us. When you do nothing, you feel overwhelmed and powerless. But when you get involved, you feel the sense of hope and accomplishment that comes from knowing you are working to make things better. Give a little time or a lot. You and I, plus everyone else have something to offer. Perhaps you have technical expertise you would like to share in fields like energy, marketing, buildings, transportation, public relations, water, business ownership, waste, or agriculture (to name a few). Maybe your interests lie in doing things that support the Coalition in other ways. Do you enjoy meeting and talking with new people? Sign up to staff a table or a booth. Can you bake delicious chocolate chip cookies? Drop off a batch for an action group meeting. Do you enjoy planning parties? Lend a hand by helping to plan an event. Are you an avid gardener? Volunteer to plant trees. Do you enjoy taking photos or videos? Offer to do it for a meeting or an event. The SLO Climate Coalition meets two Thursdays a month from 6:30-8:30 p.m. Meetings are at the Ludwick Community Center at 864 Santa Rosa St. in San Luis Obispo (free parking in the back). The first meeting of the month is for the overall Coalition and the second meeting is dedicated to action teams. All meetings are open to the public. If you want to keep in the loop, please sign up for the Coalition email list by clicking here.